Its origins remain a mystery for many people, even if torrone, like panettone, has become a real tradition in Italy and is always found on Italian tables during the Christmas period. It is said that Bianca Maria Visconti, daughter of the Duke of Milan, on the 25th of October 1441 – date of her wedding to Francesco Sforza – brought to their wedding banquet a cake prepared by a local confectioner. The cake was made with almonds and honey, and its shape resembled the famous tower of Cremona: the Torrazzo (the great tower). From here, we find out about the origin of the name: the tower, called Torrazzo or Torrione, which has now become torrone. In different parts of Italy, other confectioners have tried to recreate that same cake; but the original recipe got lost along the line because each city gave it its own stamp and its own flavour. This is the story we want to tell: our story; because for us, SorelleRivoltini (The Rivoltini Sisters), torrone was born here, in Via Garibaldi 67 in Vescovato, near Cremona, when two brothers, Attilio (our grandfather) and Guido Rivoltini decided to buy an old factory. After a short period of inactivity, in 1930, which was a time of deep economic and social crisis, they started to trade in honey; and from here came the idea of torrone. 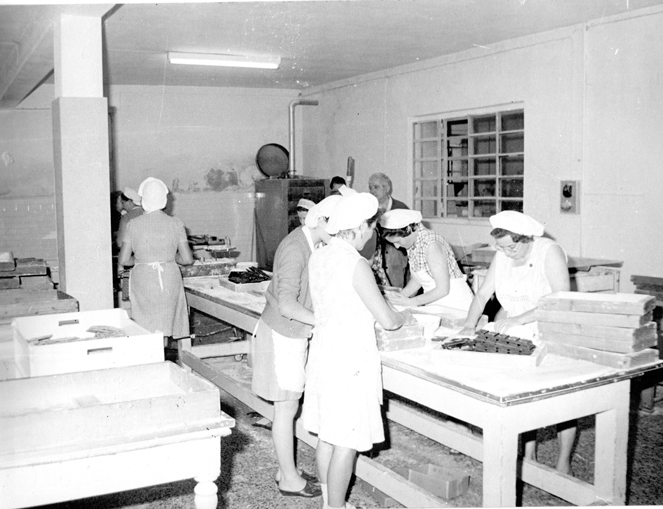 In the 1940s the brothers started the production of cibalo, the ancestor of the actual cake, except that it was based on peanuts. After some time, this product gave way to our torrone, with almonds only, making it more rich and delicate. The need to promote their own activity and their enthusiasm, persuaded our ancestors to tour nearby places and villages in order to trade their products, as did all the other merchants of Vescovato who, with bicycles and wagons, travelled around the villages of the province of Cremona. All this helped to grow a desire to create something more, to develop our hand-made products and to see our family activity grow. Time after time, here we are. Now that we are women, we are still together in order to continue what our grandfathers and our parents achieved in their lifetime. 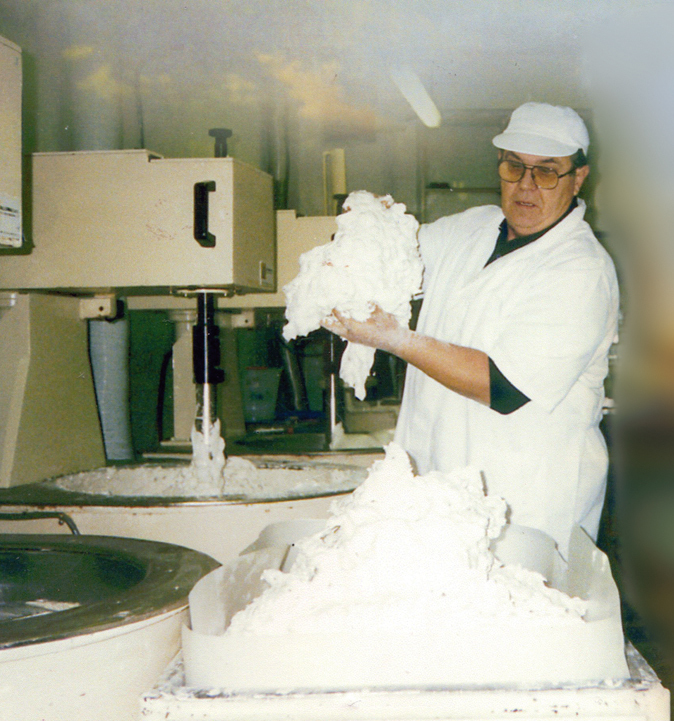 Since we were young, our father has always guided us: he taught us the ART of creating a HIGH QUALITY product using only few and natural ingredients. Above all, our father has taught us one thing: NEVER change the original recipe. That means, never add or remove something because the costs of production or of the ingredients may be high, nor because other producers do so, not even if the market requests it. For us it would be like adjusting a work of art that is already perfect. Our work of art will remain the same, the recipe will never be changed: the slow cooking , the flavour of honey and almonds mixed together in perfect harmony... For us this is the secret for creating something special, something different: A HIGH QUALITY PRODUCT.